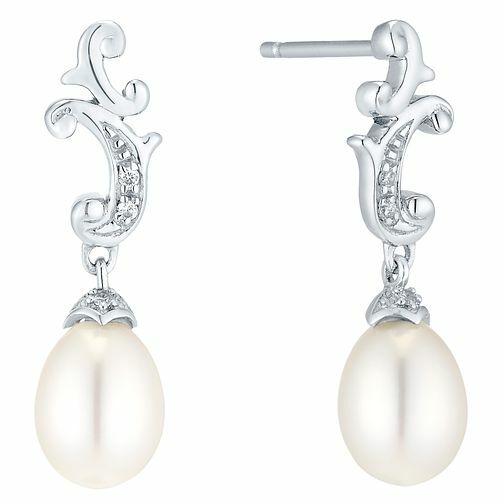 The delicate cubic zirconia encrusted detailing of these stunning silver drop earrings is beautifully complemented by the glossy cultured freshwater pearl below. Elegance epitomised. Silver Cultured Freshwater Pearl Drop Earrings is rated 5.0 out of 5 by 2. Rated 5 out of 5 by Anonymous from Pretty things I’m very pleased with these pretty little earrings. Dressy but not over stated. Classic looking.